The Scottish Grand National is a Grade 3 handicap chase, held at Ayr Racecourse in southwest Scotland every April. At just under four miles long (3m 7f 176y is the official distance as listed on the Timeform Race Card) it is the fourth longest race in the UK and Irish National Hunt calendars, after the Aintree Grand National, the Midlands Grand National and the Eider Chase. There are 27 fences to be jumped during the Scottish Grand National. It is open to horses aged five years or older, and as a handicap, relies on a system of weights allocated according to horses’ official ratings, with the highest-rated horse in the field now carrying top-weight of 11 stone 12 pounds, and the lowest-rated horses carrying bottom-weight of ten stone. The most recent winner of the Scottish Grand National is Taking Risks, trained by Nicky Richards and ridden by Sean Quinlan. He won the 2019 renewal at 25/1, under a weight of 10st 1lb, and was given a Timeform rating of 137+ for his performance. The race has been run in some form since 1858, changing name once (from the ‘West of Scotland Grand National’) and venue twice, being held for 99 years at Bogside Racecourse from 1867 until the venue was closed in 1965. In 1966, the first Scottish Grand National as we know it today was run at Ayr, with a slight increase in distance to better fit its new home. Since then, three horses have completed the Aintree-Ayr Grand National double, with Little Polveir and Earth Summit winning the Scottish versions in 1987 and 1994 respectively, before finding fame at Liverpool in 1989 and 1998. With the two races being run within weeks of each other, it’s extremely difficult for a horse to contest, let alone win, both in the same year. So it’s perhaps no surprise that the only horse to have managed that feat was the great Red Rum in 1974, carrying top-weights of 12 stone and 11 stone 13lb to glory just three weeks apart. With the Scottish Grand National being run just a week after its English counterpart in 2019, only one horse was sent to compete in both – Sue Smith’s grey, Vintage Clouds, who only got as far as the first fence at Aintree, before finishing sixth at Ayr. Vintage Clouds also finished third in the Scottish National in 2018 and seventh in 2017, and carries the colours of Grand National devotee Trever Hemmings. Four horses have won the Scottish Grand National twice at Ayr, the most recent being the Paul Nicholls trained Vicente, who won in 2016 before being bought by Mr Hemmings, and was sent out to win again in 2017 before coming fifth in 2018. Prize money for the Scottish Grand National stands at £215,000, with just over £122,000 awarded to the winner – the second highest amount for any jumps handicap, after the Aintree Grand National. Since 1966 when the race moved to Ayr, no fewer than twelve trainers have won the Scottish Grand National twice. Of those, six have won it three times, but only Ken Oliver has won it four times – and with four different horses (1970, 1971, 1979, 1982). Of present-day trainers, both Nigel Twiston-Davies (1992, 1994, 2009) and Paul Nicholls (1997, 2016, 2017) have won it three times. Since 1966, seven jockeys have won the Scottish Grand National twice, but only Mark Dwyer has won it three times (1984, 1985, 1996). Of those still riding, only Sam Twiston-Davies has won it twice, both aboard Vicente for Paul Nicholls (2016, 2017). The Scottish Grand National meetings is run over two days at Ayr, a Friday and a Saturday. The Scottish Grand National itself is the fifth of eight races on the Saturday card. There are also several valuable handicaps on the card, including the Grade 2 Scottish Champion Hurdle Limited Handicap (£59,797 to winner), and the J&D Pierce Novices’ Championship Handicap (£62,560 to winner). 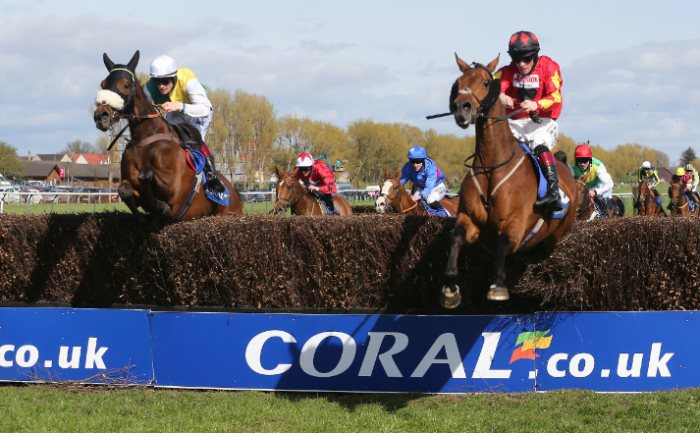 The Scottish Grand National is consistently one of the most popular UK races of the year for punters, with Ladbrokes-Coral naming it number four most bet-upon race in 2018, according to betting shop turnover. As such a popular betting race, there are often some great deals to be found with the bookmakers, including enhanced odds, bet-through-the-card and extra places offers. You can find our top three horse racing betting offers below, or head to our Free Bets page for sign-up deals from almost 30 bookmakers. Want to know which horses Timeform’s expert tipsters are backing on Scottish National day? You can get free tips for every race, either on the Timeform website or app, in the form of the TV Tip Sheet, or choose to follow one of our profitable premium tipping services such as TV Focus, which picks out the best bets on all races televised on ITV Racing, or Horses To Follow Extra which offers expert advice and tips for the day’s big races. 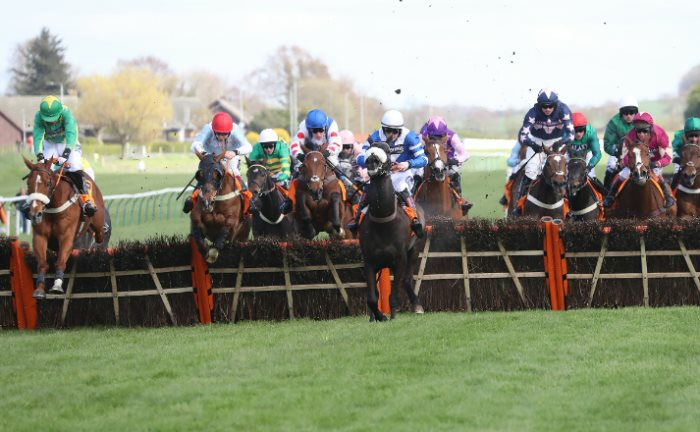 However you like to bet, Timeform has you covered with Scottish Grand National tips. Follow all the build up to the Scottish National on the News pages at Timeform. Whether you are after the latest betting odds, market movers, going updates and non-runners, plus the latest from the stables of the top horses, you’ll find it right here. Simply want to know which horse was first past the post? Then go to our Results page to get the latest Scottish Grand National day Results.